After getting ejected in his Detroit debut, Ron Gardenhire had a question. "What I want to know is: Is there any manager that's ever been thrown out of 162 straight games?" he wondered Saturday. "I have a chance. 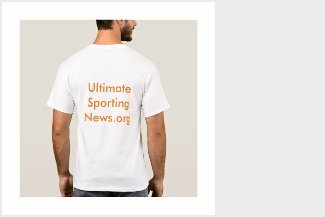 I don't know many other people have that opportunity, but I do." Gardenhire was safe for at least another day. 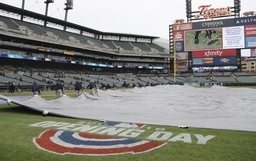 A second rainout in the Pirates-Tigers series at Comerica Park set up a split doubleheader on Easter Sunday. The first game is scheduled for 1:10 p.m. EDT, with the makeup at 6:10 p.m. While being playful for a moment, Gardenhire still was steamed. How in the world, he wanted to know, did the Tigers' apparent winning run in the 10th inning Friday get taken away? A replay reversal led to Gardenhire arguing and getting tossed on opening day. He didn't comment after his team lost its opener to Pittsburgh 13-10 in 13 innings. The game went nearly 5 1/2 hours. It looked as if it was over much earlier when plate umpire Tony Randazzo ruled Nicholas Castellanos beat the swipe tag by Pirates catcher Francisco Cervelli, setting off a huge celebration the field. A few minutes later, a video review overturned the call. The Tigers have requested footage used by replay officials. Numerous angles on Comerica Park's big screen appeared inconclusive. "We have an opportunity to get the picture and we're asking for that," Gardenhire said. "We want to see what they saw, the video, what determined it. What we had just didn't show it. Supposedly, there might be some overhead view." Gardenhire said he's gotten a lot of text messages from pals saying the Castellanos was safe. "That doesn't help me, but everybody is saying the same thing. Nobody really had a good view of it," he said. "I don't know what happened. They made their decision and we're asking to look at this. We want to see what it was, so maybe we can get better with our video. Our guy's pretty good back there," he said. Gardenhire kicked dirt on the plate, and was kicked out for the 74th time in his career. This was his first game as a manager since his long run with Minnesota ended in 2014. Pirates manager Clint Hurdle saw a funny side to the dispute. "I did find one thing entertaining, very entertaining, when I saw my buddy, Ron Gardenhire, go out and yell at the umpire who called his guy safe," Hurdle said Saturday. "I found that very humorous."